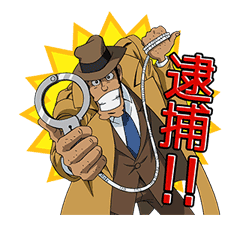 http://www.line-stickers.com/ – Lupin the 3rd + Walking, Talking Stickers Line Sticker | The characters of Lupin the 3rd make their dashing appearance in the long-awaited arrival of this sticker collection! 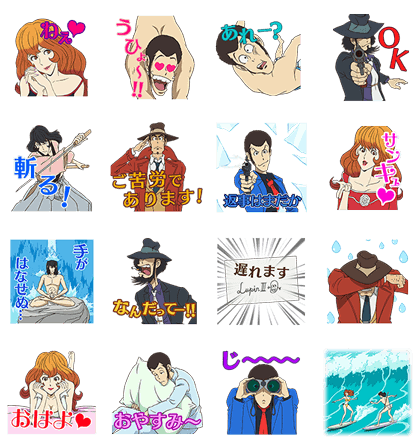 Add some daring adventure to your conversations with the diverse emotions expressed by Jigen, Goemon, Fujiko, Inspector Zenigata, and Lupin the 3rd himself! The prince of thieves is back! Lupin looks absolutely dashing in his blue suit in these new talking and animated stickers. Steal your friends’ hearts with his clever lines! The sound for these stickers will play on iPhones even if your device is set to silent mode. Lupin the 3rd is bigger than ever! Convey your feelings in full screen with classic actions and audio from Lupin and more! When tapped, these stickers will play on iPhones even in silent mode. Goemon may be the star of the latest Lupin the 3rd spinoff movie, Goemon Ishikawa’s Spray of Blood, but the rest of the Lupin cast isn’t just sitting quietly. 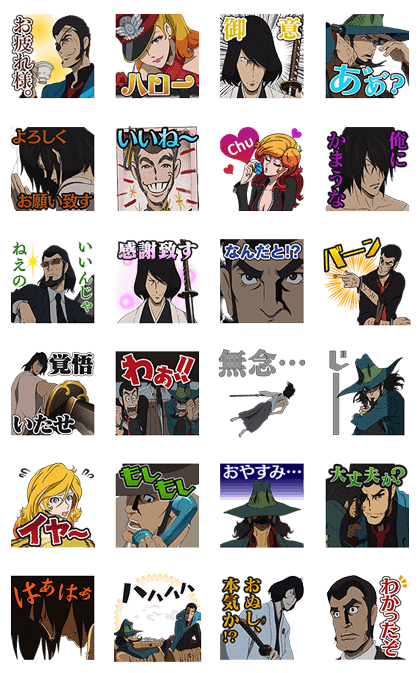 Join your favorite Lupin characters in this set of voice stickers inspired by the film! When tapped, these stickers will play on iPhones even in silent mode. 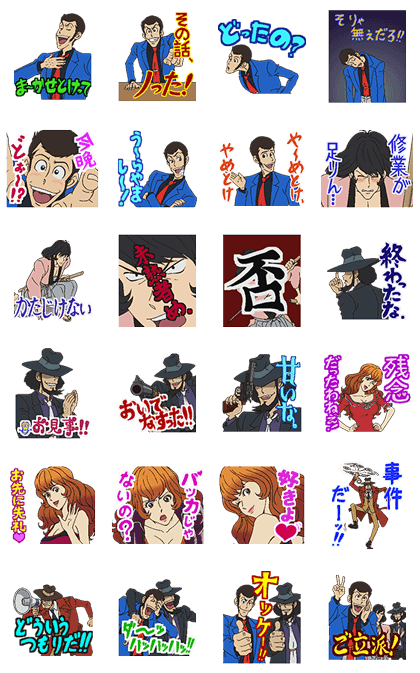 Lupin the 3rd: Talking Pop-Up Stickers!